(Upper Freehold) – Commissioner James S. Simpson today announced that the New Jersey Department of Transportation (NJDOT) is advancing toward its goal of protecting motorists with crossover protection barriers along every interstate highway and freeway median that is 60 feet wide or less. 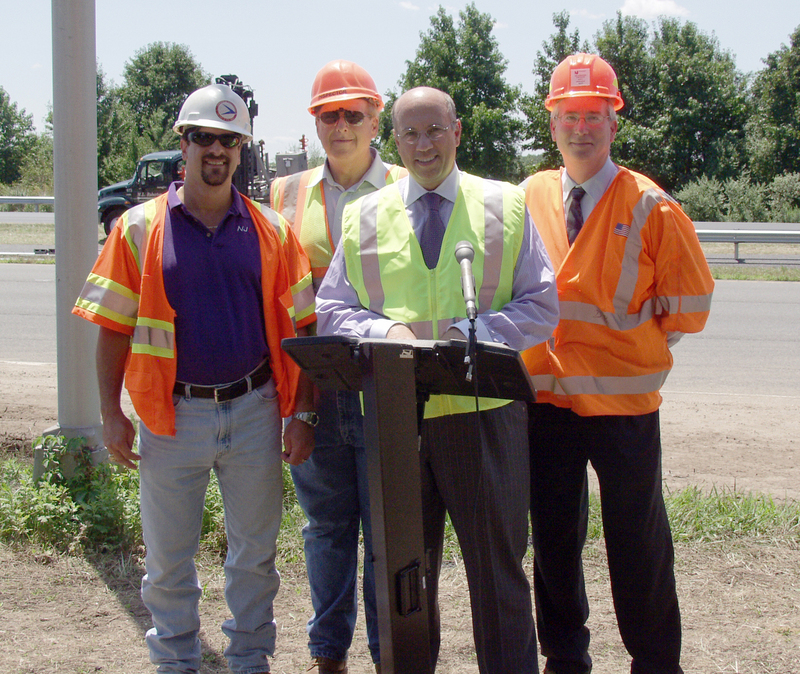 The Commissioner noted that NJDOT reached a milestone last week when it installed new crossover prevention barriers at the last locations on a high-priority list. The Department now is installing barriers in less-critical locations, including along a stretch of I-195 in Monmouth County where the Commissioner announced progress toward 100 percent crossover crash protection. Crews were busy installing new median barriers nearby. NJDOT ultimately will install 189 miles of barrier to protect motorists from median crossover crashes along high-speed Interstates and freeways. The completion of high-priority locations last week brought the total of new barrier to 134 miles. The Department installed 30 miles of barrier in FY 10 and plans to install another 14 miles in FY 11, leaving just 41 miles to go, all of which are in low-accident and therefore lower-priority areas. The remaining miles of barrier will be installed in conjunction with planned roadway resurfacing and reconstruction projects. Combining both jobs creates cost efficiencies. The program is expected to cost about $39 million from the time it was announced in 2002 through FY 11. “Installing barriers when roadway improvement projects are carried out allows us to enhance safety in the most cost-effective manner possible,” Simpson said.